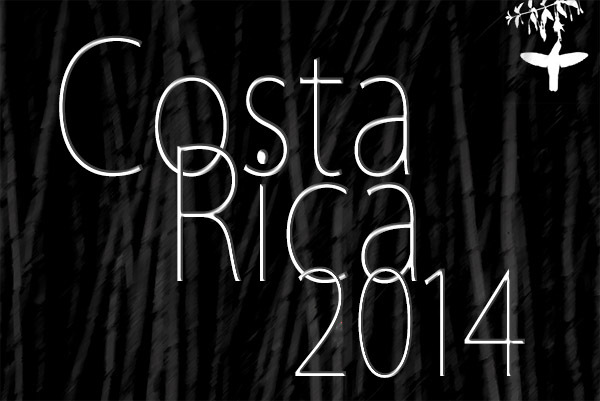 A couple of years ago we went on a photography tour in Costa Rica that was co-led by Greg Basco. We had such a great trip, that we began checking Greg's tour schedule to see when we might be able to take another trip with him. The stars aligned last November and we finally went on our second photography tour with Greg. As with the first trip, we stayed at wonderful places, ate amazingly good food, and had plenty of photographic opportunities of all kinds. After a brief stay at the wonderful and always-welcoming Hotel Bouganvillea, we drove down to Cerro Lodge near the Tarcoles River. We had many photo shoots on the grounds at Cerro lodge, and spotted all kinds of photogenic wildlife including: scarlet macaws, oropendola, hummingbirds, hoffmans woodpecker, wren, blue grey tanneger, kisskidee, iguana, black and white owl, screech owl, etc. The rooms were nice and included A/C (which really helps come sleep-time). The rooms also had totally outdoor bathrooms -- which was... unique. Everything was kept very clean, and the food was delicious! We had two rounds of shooting on the tarcoles river via the mangrove birding tour -- one in morning and next day in the afternoon (which had some heavy rainfall). We saw a great variety of wildlife on those tours including: kingfishers, an osprey, a whimbrel, american crocodiles aplenty, black necked stilts, tiger heron, green heron, great blue heron, snowy egrets, great egret, tricolor heron, little blue heron, yellow crowned and black crowned night herons, whistling ducks, terns, frigate birds, and more! We also rose early in the mornings to shoot the mist rising over the valley and the rainforest in the distance. Those early mornings were also a good time to shoot the Scarlet Macaws that came to the teak trees. After 3 nights at Cerro Lodge, we moved way down the coast to the breath-taking La Cusinga Lodge. This lodge seemed even more wonderful than the place before. There was a beautiful covered sitting area on a hillside overlooking the ocean, and this was also a great place to spot birds (and other wildlife) early in the morning and later in the day. The resort is loaded with beautiful woodwork and stonework, and the food was outstanding. The rooms were really nice also, but the lack of A/C made sleeping a little more challenging. From this resort we went to several scenic locations including the must-see Manuel Antonio National Park. After 3 nights at La Cusinga Lodge, we moved up to the popular (and lovely) Savegre Hotel. Staying cool at night was no longer a problem. In fact, we had a big fire going in the room's fireplace every night (plus the little portable heater supplied by the hotel). The hotel was very nice, with beautiful mountain views and many different type of birds frequenting the grounds. We were lucky enough to see the elusive Resplendent Quetzal our very last morning there, after a short but steep hike up a hillside -- an absolutely incredible bird. The food at the lodge was also very good, and this is where Hali and I learned the joy of Cape Gooseberries. Yum!! Costa Rica is such a wonderful place to visit, and this was another great trip with Greg Basco / Foto Verde tours. Wonderful places, excellent food, and many super photo opportunities! We hope you enjoy the small selection of our images that we have included here. PS: We cannot say enough good things about Greg Basco's tours, and we highly recommend him for anyone considering a photo tour in Costa Rica. Not only were there incredible opportunities to achieve amazing images but the places that we visited and stayed were truly wonderful. The tour was well organized with diverse locations to shoot and great food at every meal. Greg is a fantastic photographer, and as a tour leader he was wholly focused on his tour participants. He was constantly working with us, sharing his insights and expertise to ensure that we came home with great images. We can't wait for our next trip with Greg!